Originally from Ireland, Amina Rand is now in her second year of teaching students with high needs at Broome Senior High School, in northern Western Australia. 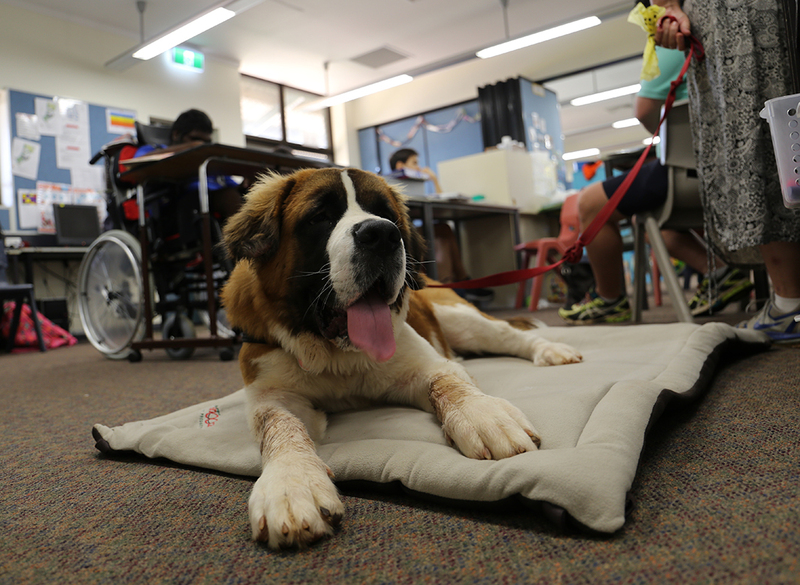 Hannah, Broome Senior High School’s therapy dog, has made a big impression on her school community. This story appeared in the September 2018 edition of Australian Teacher Magazine. Samantha is an intern with EducationHQ and Australian Teacher Magazine.